We can fit a wide range of pots, caps, and cowls, also including anti downdraught cowls. These six cowls above are some of the most common you will see for solid fuel combustion. However i always tend to stick with fitting the cowls below. There are a couple of reasons for this. I believe that the high top bird-guard that we install offers great protection from weather, nesting birds, and also allows great ventilation for your chimney flue. Most importantly it allows the exhaust fumes from your chimney to escape with ease. It is also easily spotted if the cowl has become clogged up with soot or creosote, and steps can be taken to clear it. The price for supplying and fitting a high top bird-guard is usually around £120.00. You also have the option of a terracotta powder coated cowl, which some people prefer as the pot is usually terracotta in colour. All cowlings and guards offer increased resistance to combustion gasses leaving the system. Cowls and guards can themselves become a problem if they are prone to sooting / tarring up. It is the opinion of the Guild of master sweeps that chimneys should be left open with just a chimney pot as termination wherever possible. Devices such as cowlings and bird-guards should only be used when necessary. A Chimney cap is very different and should not be installed on chimney pots that you wish to use. 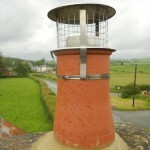 A chimney cap is designed to help minimise heat loss from disused chimneys. They provide excellent protection for the flue against all weathers, leaves and nesting birds, whilst still allowing ventilation of the flue. Please note. 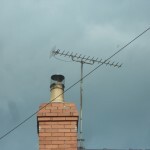 You should never light your fire or multi fuel appliance if your chimney has been capped. As described above caps are to prevent heat leaving your home when an appliance or open fire is not in use. 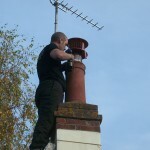 If you wish to use the open fire or appliance you should contact a professional chimney sweep to remove the cap, and possibly replace with a suitable cowl or leave open depending on circumstance.